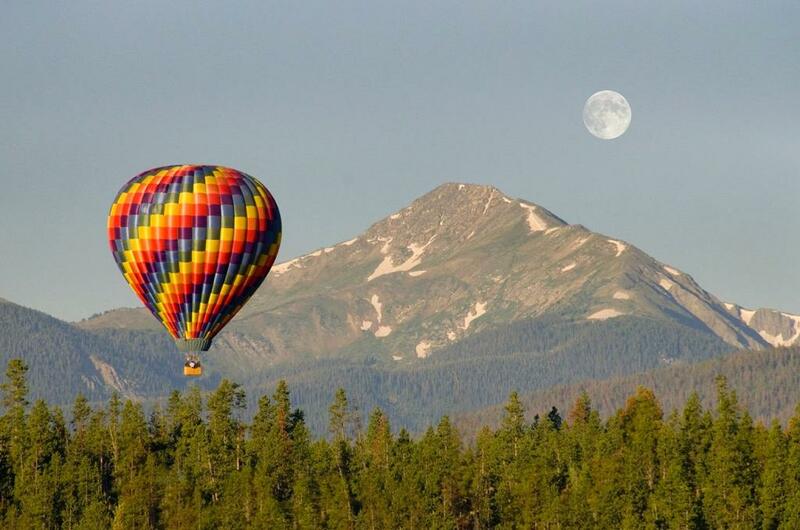 Winter Park Colorado Hot Air Balloon Rides offers spectacular balloon flights year-round, in the heart of the Colorado Rocky Mountains. We are the closest mountain valley hot air balloon ride to Denver and the Front Range. The beautiful Winter Park Fraser Valley provides spectacular views of the Colorado Rockies, Winter Park Resort, Rocky Mountain National Park, the breath-taking Continental Divide, & more. Grand County is located at the West entrance of RMNP, which provides beautiful views of majestic mountain peaks in 5 counties. Low level flying allows for picking pinecones, splashing & dashing, & spotting wildlife from above it all. A balloon ride is a great way to see the Colorado Rockies, learn the history of the area, & the science and art of ballooning. All balloon flights are celebrated with a traditional champagne toast, CB breakfast, commemorative aeronaut flight certificate, & photos. Located near Denver, Boulder, Winter Park, Fraser, Grand Lake, Granby Ranch, Granby, Rocky Mountain National Park, Estes Park, Breckenridge, Keystone, Frisco, Dillon, Copper Mountain, Georgetown, Idaho Springs, Red Rocks. Hot air balloon flights are weather permitting, so scheduling for your first available morning is recommended.